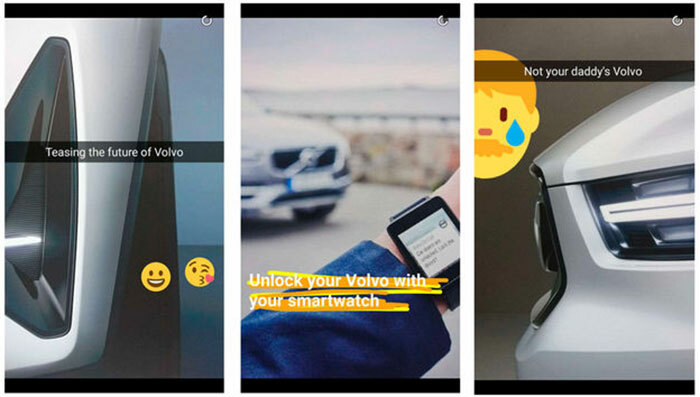 The XC40 is expected to be a crossover and the images show a blurry shot of the front end of the car with the tagline “Unlock your Volvo with your smartwatch.” Another image of the car shows a shot of the front fascia with a little LED light strip aglow. The final image shows a close-up for the front bumper and headlight area with “Not your daddy’s Volvo” printed on it. The 40 series rides will use the CMA platform developed along with parent company Geely. That platform is modular and can be used on different body styles. I only hope it comes in Polestar flavor with bright blue paint. Volvo should Polestar all the things.